In the last couple of week I had a lot of issues with the Time synchronization in few of my environments and I write this post to have reminder and to help others to solve that. I’ll explain my situation, environment etc. So, in my situation time difference between domain controllers and other devices can’t be longer than five seconds, if it’s time difference longer than we have a big issue. What I tried to do? The first I used manual from the official Microsoft site who helped me many times. 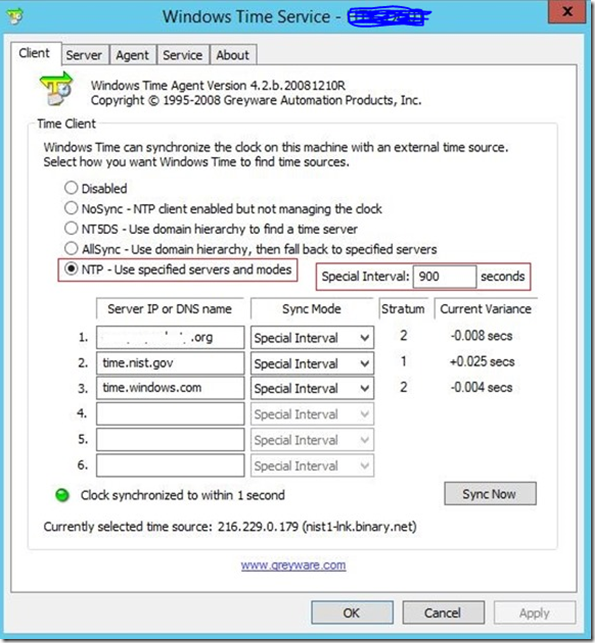 How to configure internal time server to synchronize with an external time source you can read here. After I did everything follow this guideline I execute few commands. and everything was perfect SOME TIME, but after a few days I had the same issue like at the beginning of this story. 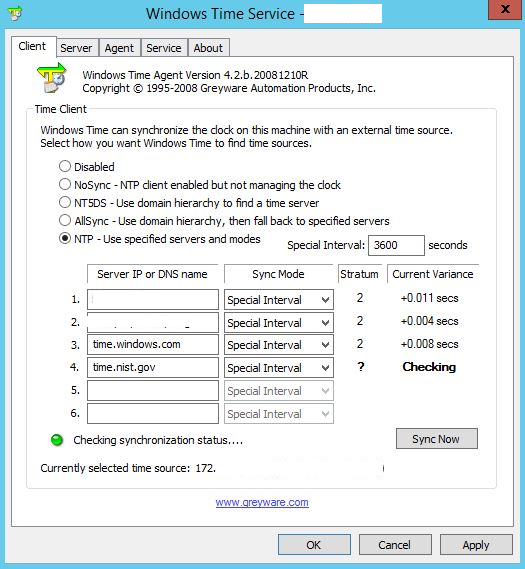 I found one great free tool called Windows Time Service which you can download from here. After software installation, you need to configure few parameters. 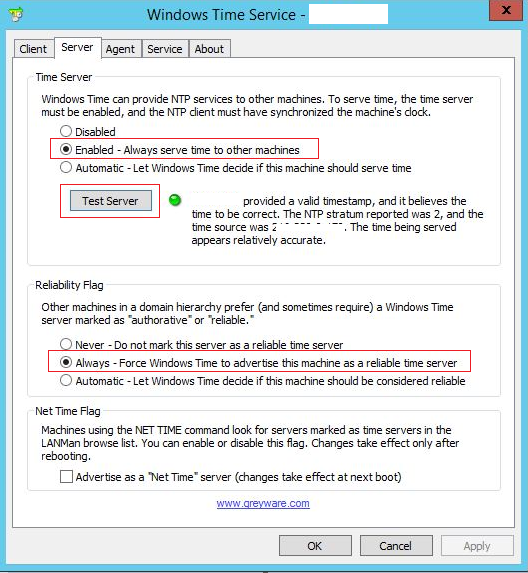 Keep in mind that we need to configure different time servers on every domain controller in our environment. First we need to install and configure parameters on PDC which will be the primary time server for all others domain controllers in our environment. NOTE: After installation you will find software under Control Panel. Start application as administrator! 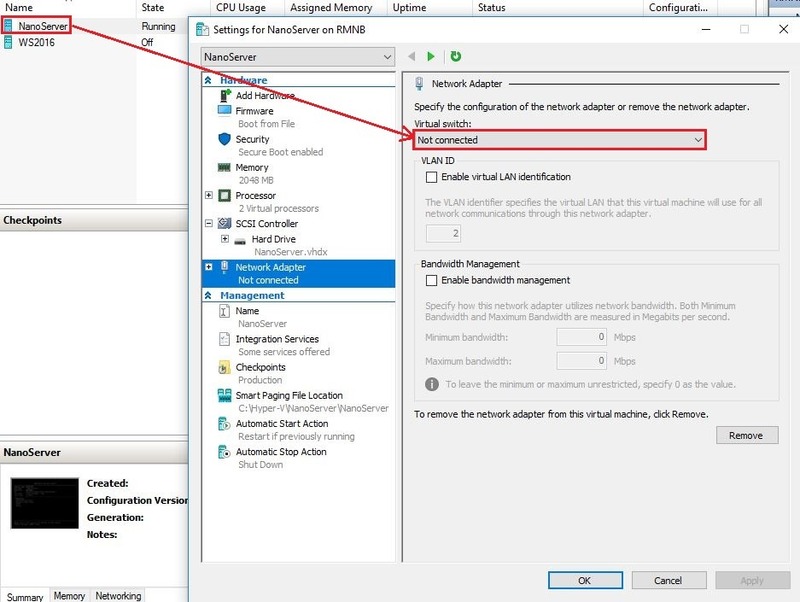 Open application and configure parameters like on the picture below. 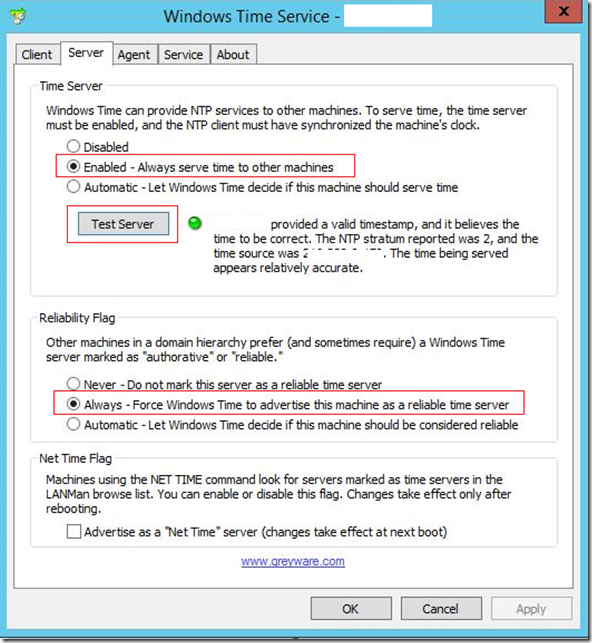 Under Server IP or DNS name enter preferred time servers. Under Server tab configure parameters like in the picture below. Next step, logon on the second domain controller and configure valid parameters. Under Client –> Server IP or DNS name enter FQDN of your PDC and external time servers. Look on the picture below. I configured this two months ago and since than I have no issues with the time difference. All mentioned above I did it on the physical and virtual (Hyper-V) domain controllers. Hope this article will be useful for you. 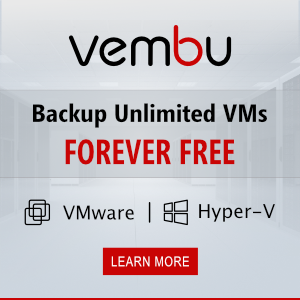 All the tools you need to manage, monitor and understand Hyper-V are available on the Internet. But, how do you find them all? Lucky for us, good people done a lot of the work for us. They’re collecting a list of 101 Hyper-V tools, scripts and resources. What kind of tools you can find here? 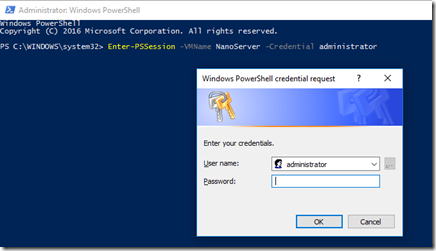 In this blog post I’d like to explain how to add new name to your Nano Server. Why I would like to do that? Because, when you create Nano Server image from the Nano Server Image Builder, during the setup process you need to enter the name of the Nano Server, also if you want to create few of Nano Servers, you will have the same name on the every machine what’s not good, right? 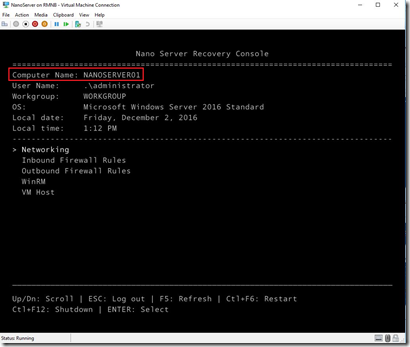 As you can see from the picture below, the recovery console doesn’t have an option to rename the hostname. The only way to rename Nano Server is using PowerShell Remote Session or PowerShell Direct from the Hyper-V host. 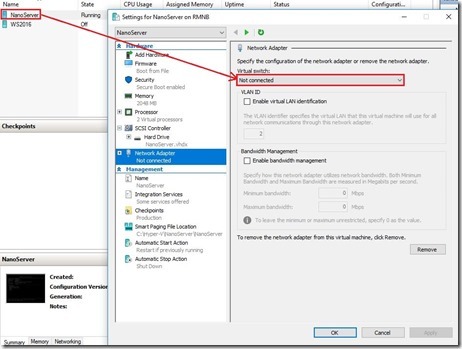 In this case I’ll use PowerShell Direct, and as you can see on the picture below I haven’t network adapter on the Nano Server because I have one Nano Server on my network with the same host name and want to avoid collision. 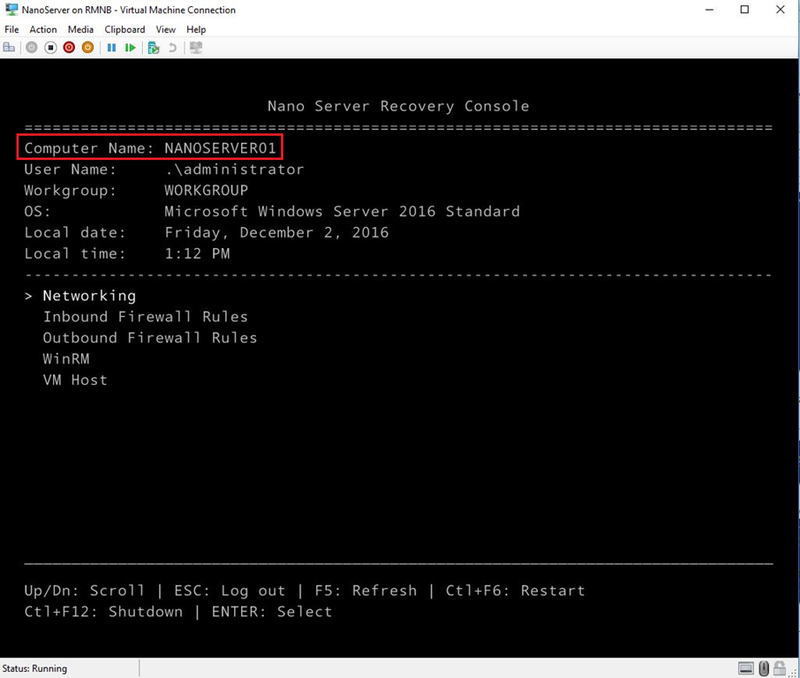 Where “nano server name” is the name of your Nano Server. Where “New Name” is the name of your Nano Server. After you are done, logon to your renamed Nano Server, enable network adapter and enjoy the day.